A long time ago we used to be one. And that gives us a unique insight and an appreciation for the complexity of running a property maintenance business. It's not just about work flow and scheduling. You will probably have a mix of employees and sub-contractors in the field teams - and so Flobot deals with payment allocations for both. But there's more! It has an HR system for keeping the certificates, cv, skillset and details of the contractors too. It has a portal so they can check their payments, upload their new accreditations, adjust the times they are available and alter the areas they can work. They can build quotes in too - sent directly to you to check and add a mark-up. And there are lots of features to help you manage multi-skilled - sometimes undisciplined field teams. 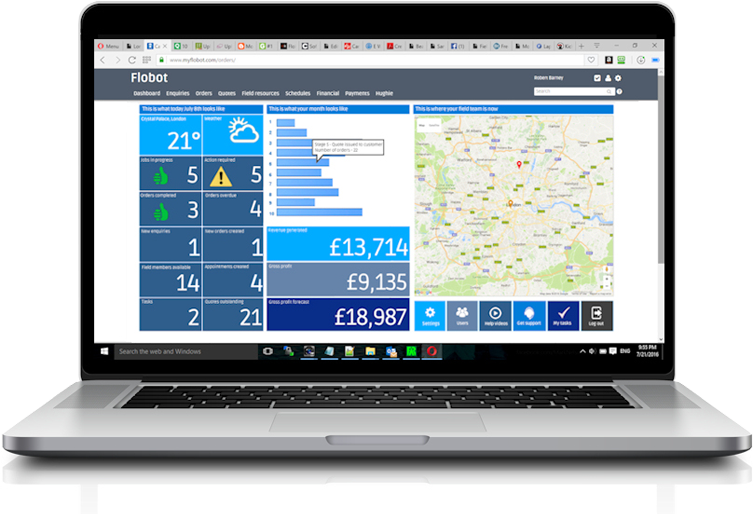 We like to think that there is no other field service software company like Fresh Milk Software - and there is no other product like Flobot. What sets us apart is our ability to customize Flobot to our client's requirements with bespoke coding, allowing them to have their own 'instance' of the software - a fully tailored software package created to match your requirements exactly. 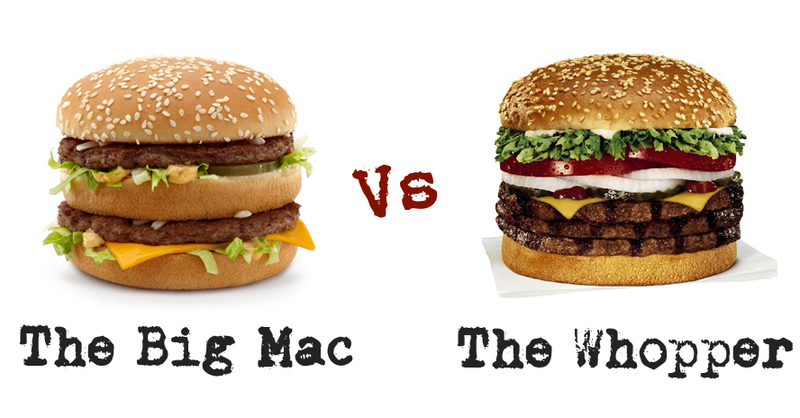 We love all love the Big Mac. But have you ever tried asking for one with extra cheese? You might wait a while. Now the whopper on the other hand.... well just 'Have it your way'. So, Flobot is the Whopper and pretty everyone else is a Big Mac. There's a place for both but if you want something with extra sauce, pickles, cheese or pretty much anything else then you need a whopper. So to make sure there's no confusion at all; Flobot = Whopper. Glad to clear that up. 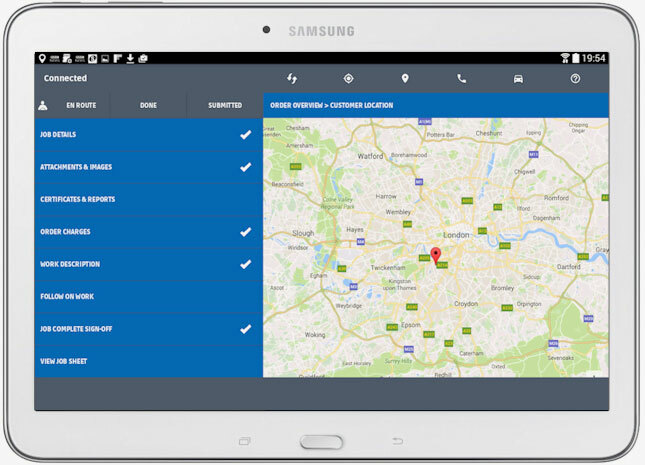 The Flobot app is designed to get your property maintenance teams and engineers out in the field to the right job and on time. Navigate from job to job by utilizing the built in maps function. Send that information to your client and they can see where your team is on the map with an estimate of the time of arrival - just like Uber. Once your field team member has arrived they can check into the job so the office knows they have started work. You can bill by the hour if you want with the built in timer. But you may just want to finish, create a job sheet and attach some pictures. 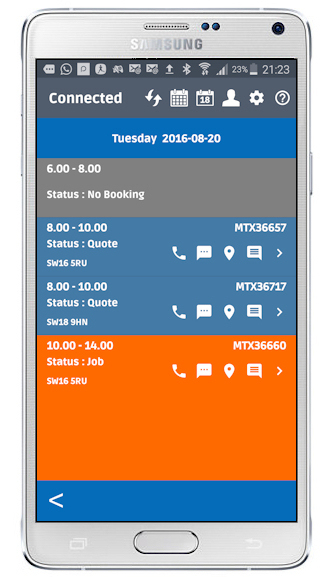 You can even build a quote from a pre-filled template on-site and send it to the office or the client right away. ...for my property maintenance business? Of all the companies that provide services at their customer's location, property maintenance is the industry that needs good field service software the most. And that's because you are supplying multiple trades across several disciplines, often to regular clients with hundreds of different properties and locations - an estate agency for example. So, you need to take details of the individual jobs, badge them to the correct client, inform the tenants or landlord and organize the contractor to arrive at the right time. Then you need to get a job-sheet signed, send an invoice and get paid - hopefully in 30 days. Finally, because you most likely have a mix of sub-contractors and employees, you need to apportion a percentage of the project or pay the contractor at a certain rate and account for that too. All rather complicated - and that is why you need a property maintenance system like Flobot. 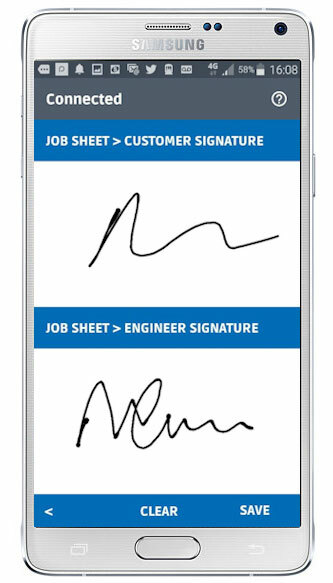 The system will sort your office out and the app will sort your contractors. Still not convinced? Have a look over the Flobot infographic and see the research we had carried out showing the consequences of having Flobot V not having Flobot. It is very interesting. Now, stop delaying and get on with it. Book a demo now - the demo take 10 minutes.